On Saturday after a hilly 8 miles, we went to Big Fish in Issaquah. They have the closest thing you are going to get here for New England clam chowda. It was rich and had great clam flavor. I had the fish tacos, which were very good and they did not have a ton of sauce on them. Sorry I forgot to take pictures. I also purchased a Garmin Vivofit. It is a fitness tracker like the Fitbit. I currently use the Fitbit One and don’t really have any issues, but sometimes I forget to wear it. 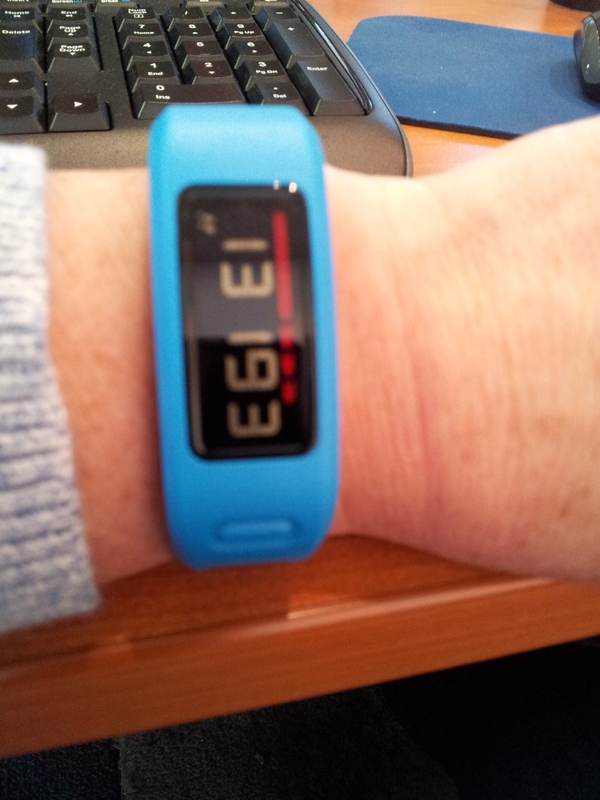 The Fitbit Force as been recalled, that was the one I really wanted. If I going to wear one on my wrist I wanted a display with time. I know a lot of people who have the Flex, but it won’t sync to my phone and has no display. Here is my opinion after 2 days. I love the display. It’s water-resistant, my first Fitbit died because of water. It has a super easy sleep function. It has 2 batteries which should last a year, so you do not need to charge it. I’m using both the Vivofit and Fitbit currently and they are very close in stats. Less than 5% difference. No backlight, you can’t see it at night. This red line that grows the longer you are inactive. Unfortunately I work at a desk job, so 8-4 I’m pretty much inactive. This is also my second unit. The first one was defective and would not pair or do anything and after trying for about 2 hours I gave up. Thank you REI for a great return policy. We are heading to Hawaii for a week. I’ll have a 20 mile run there. Wish me luck it will be hot! Do you wear a fitness tracker? Which one? This entry was posted in Uncategorized and tagged Big Fish Restaurant, Garmin Vivofit, REI. Bookmark the permalink. I wear a GPS watch when I run but is really like to get something to wear all the time, just to see how active I am on average. Hey! I nominated you for the Liebster Award – all the details are on my last post! Looking forward to meeting you in Boston! Thanks Kelli! I will read the post this morning.